Reston National Golf Course will host dozens of Washington, DC-area amateur golfers on Monday, June 29 at the local qualifying tournament for the World Golf Scramble. Four-person teams compete in gross and net divisions with top finishers receiving invitations to the World Championships at Sun Mountain and Snow Mountain golf courses in Las Vegas on August 13-15. Winning teams at the World Championships earn a guaranteed chance to compete for a $100,000 progressive purse at the World Finals at Bali Hai Golf Club on August 15. Open to amateur golfers globally, the World Finals will be televised to more than 90 million households on Fox Sports Network and other major cable networks. 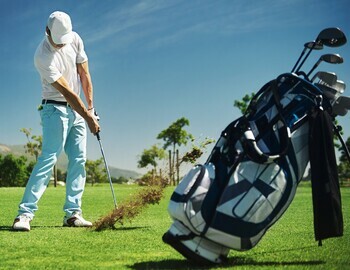 Part of World Golf Skills, a new golf education and event platform focused on improving skills and enjoyment, the event combines educational experiences, entertainment and thrilling competition. For more information contact Jenna Schulten (jschulten@restonnationalgc.com) and to register visit www.worldgolfskills.com/world-golf-scramble.